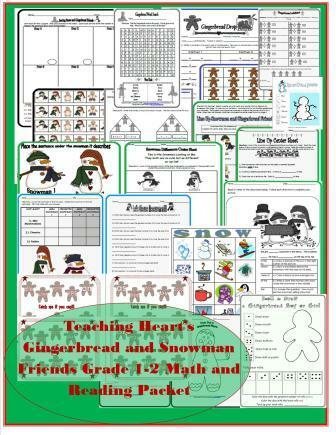 Make your snowman and gingerbread unit exciting with these great printables. Centers, skill practice activities, games, and more ready to print. Great for the first and second grade classroom. All printables come in a zip folder. All the files are in PDF format. Some of the files are in word and some are in Publisher as well. Once you pay you will be sent a link for instant download!!! 3.) 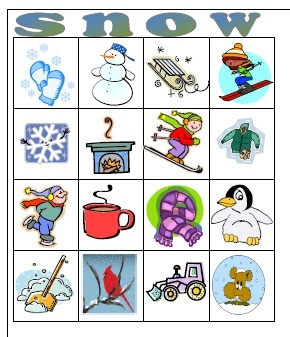 Snowman Difference Pocket Chart  This lesson focuses on reading skills and determining differences. The center sheet focuses on writing a complete sentence. This file includes all materials to make the center and a center sheet for the students to complete when they have finished the center. The student must read the sentence and then place it in the pocket chart under the snowman the statement is describing. When all sentence strips are in the pocket chart, have them complete the center sheet by looking at the pocket chart they completed. (2-3). For grade 1, you may choose to do this activity as a class lessons; calling on students to read the strips and then place under the correct snowman. Or the teacher may read the strips and then have a student place the strip under the snowman. 4.) Snowman Comprehension  A short story about a boy building a snowman. The student can read the story and then answer the questions independently (2-3). The teacher can share the story and help the students answer the questions for a listening comprehension activity (1). 7.) Snowman Kisses Labels  A great treat for your students. These print on 3 1/3" x 4"mailing labels/ AVERY 8164. Print them out and stick them to a zip-loc baggie. Place some marshmallows or Hershey kisses into a bag. 8.) ***Sorting Gingerbread & Snow Friends  The student cuts out various pictures of snowmen and then sorts them on a sorting sheet (k-2). The student answers question independently (1-2) about their sorting sheet. 11.) Gingerbread Word Search (1-3)  Student looks at the word bank and then finds the word in the puzzle. 15.) 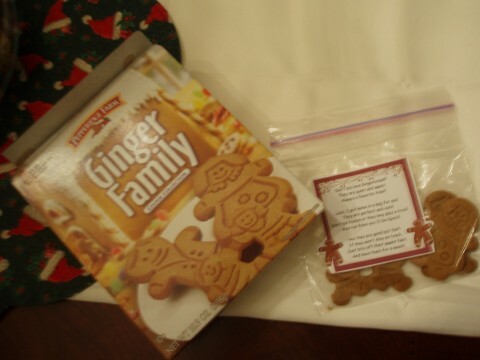 Gingerbread Snack Labels  Here is a little poem I wrote about Gingerbread Cookies. They print on 3 1/3" x 4"mailing labels/ AVERY 8164. Print them out and stick them to a zip-loc baggie. Place two or three gingerbread shaped cookies in a baggie and give to your students and a sweet treat for a great job on a Gingerbread Unit. Note: over the holiday season, you can find the Gingerbread cookies at your local grocery store. They come in a box and are made by Pepridge Farms. 17.) Snowman Snow Globe Game - You will also need small white pom-poms (Get these at a craft store). Print enough board games (Page 1 - there are two on a page) for each child in your group. Print a set of cards (Print page 2 twice to make a set). Hand each child a playing board. Put the pom-poms (snowballs) in the middle of the table. The adult holds the playing cards. Students take turns taking a playing card and adding the number of snowballs given on the card to their card. First person to get eight snowballs and fills their globe is the winner. Be careful, you may draw a card that asks you to put a snowball back. 19.) Roll a Snowman Dice Game! 21.) Roll and Draw a Gingerbread Man / Tally Your Rolls / Answer questions about tally's when game is complete. 22.) Grade 1 Sight Word Cover Up - Four days of the first grade words review games. Just call out a sight word and the students cover it up with a sticker. You can check to make sure they cover up the correct word.